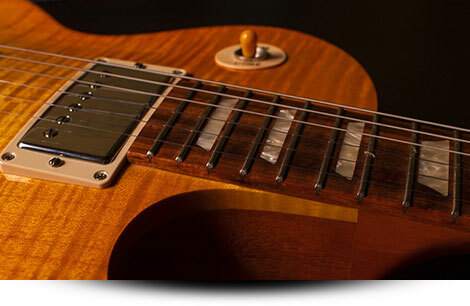 The term “Shred” is commonly associated with virtuoso guitar playing, especially for the neoclassical heavy metal guitar style, but also in jazz fusion. But actually, anyone with any instrument can “shred” in any musical style. So there are several techniques that are key to learning how to shred on guitar. One of the most important is Sweep Picking. Tons of the guitar heros from the 80s have based their styles in that technique, like Yngwie Malmsteen, Tony Macalpine, Frank Gambale, etc. So here’s a list of the most common techniques to “Shred” on guitar. This is a pretty difficult guitar technique that implies Ascending (downstrokes) and descending and ascending (upstrokes), picked with “sweeping” motions. This technique is mainly for playing arpeggios, but some players have developed at its maximum and use it for everything. So besides arpeggios, it’s common to use sweep picking for mixing up arpeggios with scales. Ex1: In the next 4 examples, we will see a common way to play basic arpeggios. 1st example is a 5 string major arpeggio. Ex2: This is a basic 5 string minor arpeggio. Ex4: Same 6 string idea, but a minor arpeggio. It doesn’t have to imply a lot of strings to be able to use this technique, we will need at least 2 strings to use it. Ex5: This is the right way to play a 2 string arpeggio, in this case, A minor. 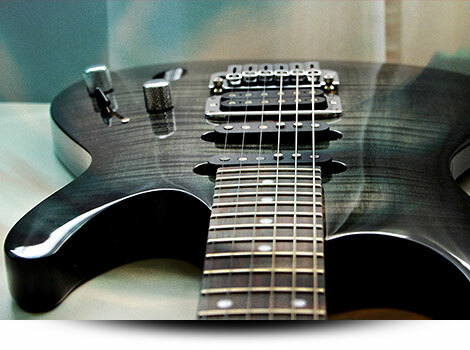 Ex6: Here´s a 2 string arpeggio in A major. Ex7: Here´s a 3 string arpeggio in A minor. Ex8: Here´s a 3 string arpeggio in A minor. There are many other arpeggios that can be used for this technique, like dominant, 7th, diminished, augmented, etc. Scales are another really great vehicle to use sweep picking. One thing to take note of it is the mathematical factor of this technique, meaning that it’s based in a formula. It will work on odd numbers, like 1, 3, 5, 7. Those are the number of notes per string. So the overall idea is that we have a downstroke before going to the next string where we will play another downstroke. This means that if we want to play a scale throughout every string we will have to play 3 notes per string. As i said earlier, another cool resource is to mix up arpeggios with scales. Of course, there´s a lot of ideas that you can come up with using our picking formula. Down, Up, Down; Down; Down, Up, Down; Down; Down, Up, Down. Just experiment with these examples and try to come up with new formulas and ideas, also using different scales and arpeggios. It seems pretty easy but, building speed takes time. Also remember that both hands should work together, except when you want to play “tremolo”. This is just fast lots of picking on a single note. Secondly, the most difficult part, in my opinion, is when you have, on an ascending run, an upstroke and a downstroke on the next string. I have the feeling that the pick is locked between the two strings. I recommend you to listen to the best guitar pickers, like Paul Gilbert, John Petrucci, early Vinnie Moore, etc. Ex1: This is a basic single string pattern with alternate picking. These types of exercises are the first step for getting into alternate picking. Ex2: This is another basic single string pattern with alternate picking. It looks easy, but remember that both hands should go together and sound as clean as possible. Ex3: Let´s add another string and see how things start to get more complicated. Ex4: This is the same idea, but starting out with an upstroke. This is more complicated because, as i wrote before, when you change strings the pick feels locked inside the 2 strings. Ex5: For the final example, i will show you a basic scale sequence on all 6 strings. To make a long story short, “Legato” is the term for hammers on & pulls off. This is another tricky technique since we have to get sound without using the picking hand, so we will need to build strength in our fretting hand. Basically, we can play any alternate picking exercise with legato. 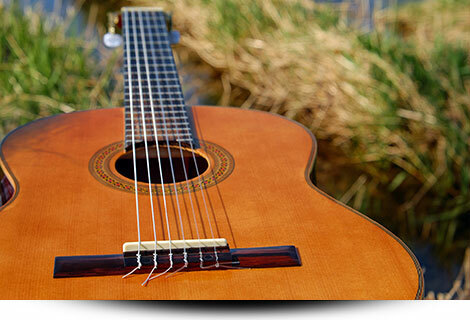 What we need to do for ascending runs is play the first note with the pick on each string. Let’s Take a look at some basic legato ideas. Ex1: First step, start with a single string. There are several patterns, this is one of the most common ones. Notice that we are picking just the first note. Ex2: Let’s add another string. Now we will pick the first note once and the first note of the next string. So each time we go to the next string we will pick the first note. Check it out! Ex3: Once we know how to go to the next string we are ready to play a pattern through all 6 strings. Notice that we won´t pick when we are descending to another string. Ex4: In the last example, we will see a descending exercise which we won´t pick any notes at all. The Tapping technique is pretty much the same as legato, but we will use at least 1 extra finger from our picking hand. This way we can play wider intervals licks which can sound cool and crazy by just changing the note of the tapped note. Ex1: Here´s a basic pattern on 1 string. Ex2: Here´s another pattern, similar to the previous example. Ex3: Once we can play the first two examples, we are ready to add more strings. So here´s example 1 on all strings. Ext4: And this is example 2 on all strings. Ext5: This is a similar idea, but with a natural minor scale. Check it out! 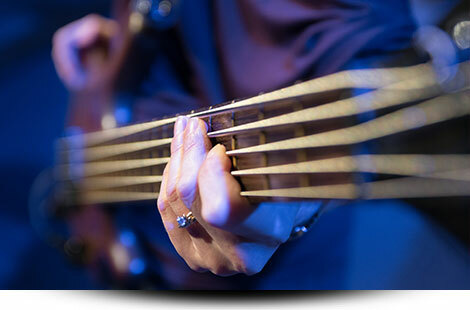 String skipping is a guitar technique used mainly in solos and also in complex guitar riffs. As the word indicates, it requires skipping strings and it’s great for pyrotechnic solos. We can make use of this technique for making another techniques more complex, such as alternate picking, legato & tapping. Ex2: This is a nice pentatonic ascending run with tapping in C#m. This is another cool resource for shred on guitar. Ex1: Here´s a good example of string skipping with legato. I recommend you to listen to the best exponents of this technique, such as Allan Holdsworth, Brett Garsed, Greg Howe, etc. Ex2: Here’s another good idea with legato in F.
Each of these techniques plays a key role in being able to learn how to shred on guitar for beginners. Through patience and practice you can master each technique and eventually combine them all into epic displays of professional shredding. Just keep at it and never give up and you’ll be shredding like a rock star in no time!